The last week in July was blessed with pleasant temperatures so I was able to go on lunchtime walks. 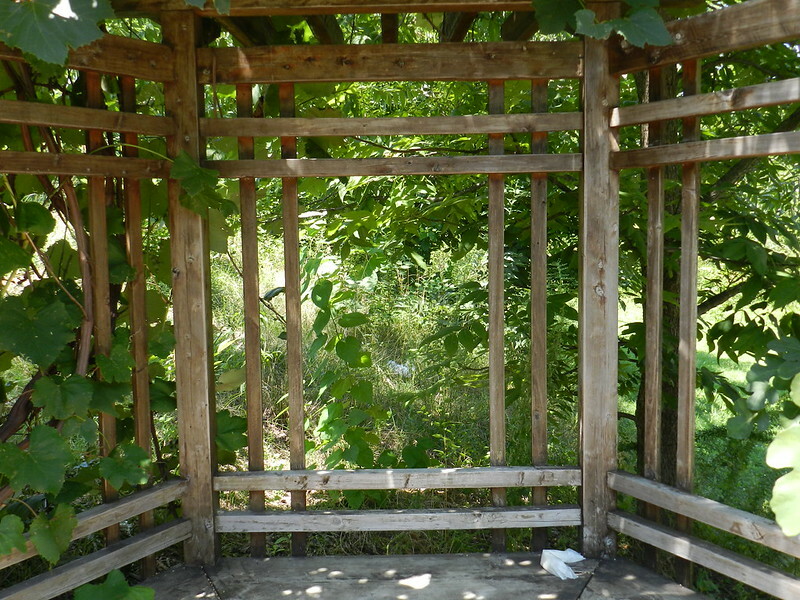 On the other side of the Farmer's Market area from Grace Garden is another small garden. This garden is sponsored by Seeds whose mission is to teach respect for life, for the earth and for each other through gardening and growing food. 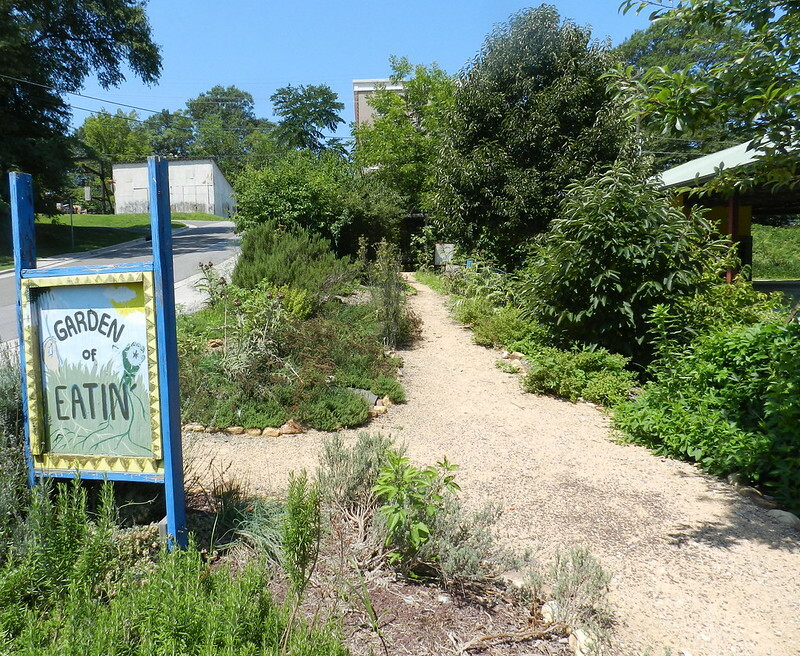 Located in the heart of Downtown Durham, we are an urban sanctuary focused on promoting principles and practice of sustainable agriculture, organic gardening, food security and environmental steward ship. Seeds has the following programs: Children's Gardening and Cooking Programs including camps and after school programs that teach about pollinators, growing and cooking food, and making art in the garden; Durham Inner-city Gardeners (DIG) which empowers teens by teaching organic gardening, sound business practices, healthy food choices and food security values. The program emphasizes sustainable living and growing practices, ecological balance, and the natural recycling of organic materials for plant health and nourishment; Seeds Community Gardeners - a program with 30 garden plots available for lease. For more information the seeds website can be visited by clicking here. 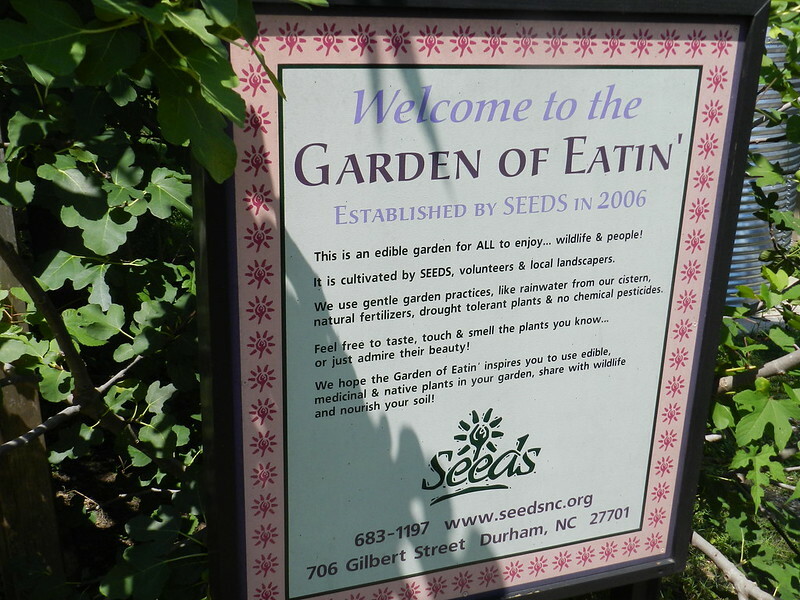 I like the way the sign at the small seeds garden in the Durham, NC Park says that the garden is for everyone (wildlife and people) to enjoy. I'll have to be sure to get some grapes after they ripen. The wildlife doesn't need permission but I like the fact that they are included on the sign. Great idea! Way to go, people of Durham! What a wonderful garden for all to enjoy! The grapes look delicious! Thanks for sharing, have a happy week! What a lovely garden for all to enjoy. What a great program and garden. I like sustainable gardening in urban areas. A great idea. I love the signs. 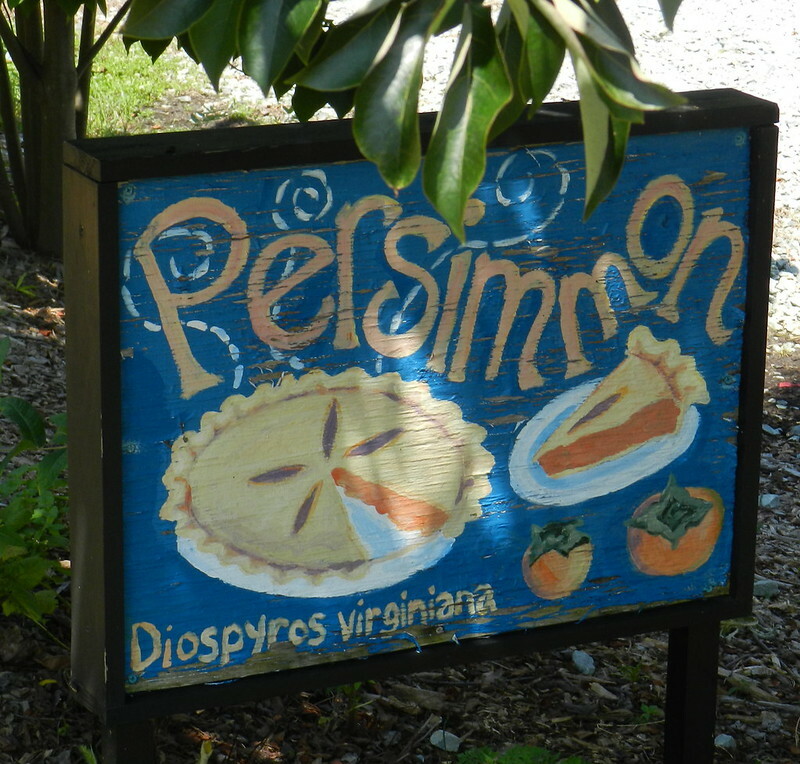 What a worthwhile project … there is so much goodness in the natural unprocessed food that is around us. 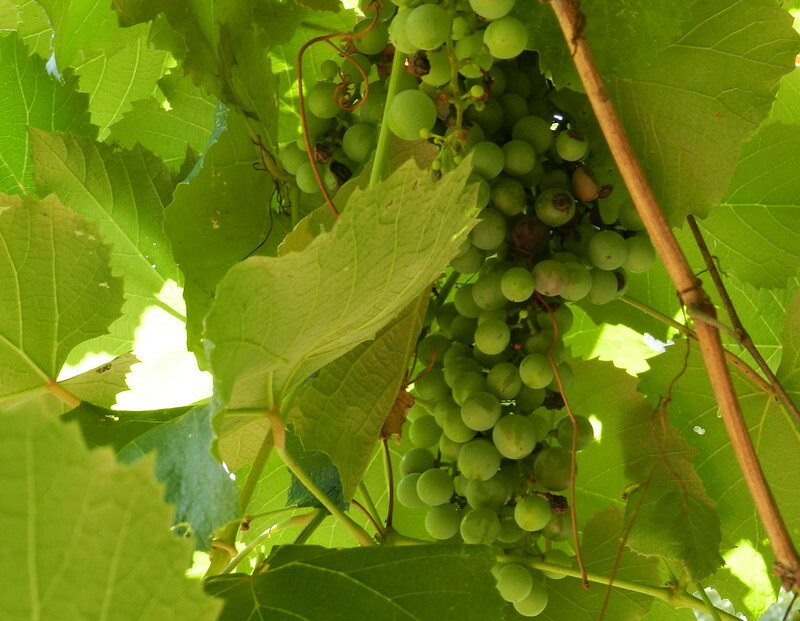 There is nothing healthier, sweeter or juicer than a fully ripened grape! darn, I was in Durham on a day trip and didn't know about it. a great initiative. That looks like a wonderful place and so nice they let you eat the fruit. A very inviting peaceful wonderful world! Thanks for sharing. These images are calming! I miss doing PH and I miss you guys more. I should be back soon.